Description Spectromancer Truth and Beauty is an online fantasy card game. Play magical duels against other wizards. 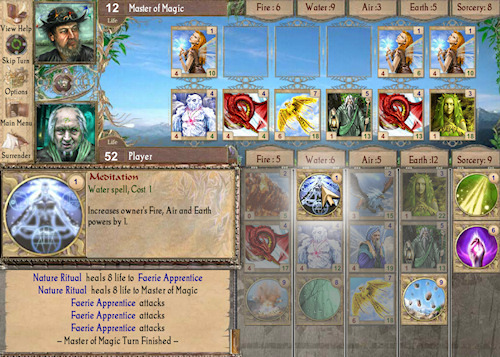 Summoning all kinds of creatures and casting spells in this strategic game. A fantasy game with amazing game play. Use up to 5 special magical elements each duel. Controls Select and summon the cards with the mouse. See the in game instructions for more details.